To learn designing a website from scratch, and get acquainted to Model-view architecture for making webapps. We had a LOT to code. Here are some snippets…. This is how all our Hardwork looks like……..
1. 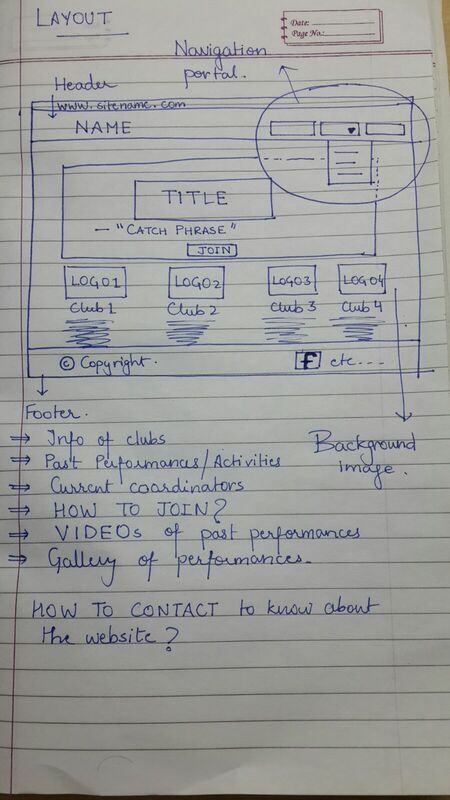 We started out by making a rough sketch of what all features our platform should offer. 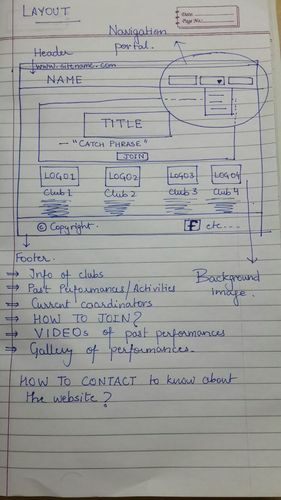 We also learnt that to make a website, one must learn the two aspects of website – Frontend and backend. *Then began our journey of learning new languages. *YouTube videos and w3schools were our best friends in this journey. a. We first learnt about the basics of coding by writing a small program in HTML which prints ‘Hello World’. We the moved further on by learning more advanced HTML. Major help was given by the website www.codecademy.com and www.freecodecamp.com in learning the basics of HTML. a. We learnt that PHP was one of the language used in backend. It mostly like c++ language, so it was easier for us to write it down syntactically. It was used in all calculations of the matrix like inverse, echelon form, determinant and to compute other information. Major help was given by the website www.newboston.com which told us the syntax of PHP. Database for the same is built on MY SQL. 4. Finally we touched up everything, tested if things worked as they should and Voila ! we were good to go. The overall experience, completely contrary to what we thought when we were given this assignment, was really AMAZING !! We really enjoyed building each and every element of the site by ourselves and see the website taking shape as per our requirements, rather even better than what we expected. Spending days and nights writing the code for our webpages made us insomniacs, not just because we were supposed to do it, but because we really enjoyed doing it. We whole heartedly thank our instructor Ms. Jyoti Sinha for giving us the oppurtunity to work on this Project.